Each 9/11 anniversary when I think of the day of September 11th 2001, the most vivid of memories re-appear in my mind like they were planted there yesterday. Only it they weren't planted there yesterday, but a full nine years ago. Although most of the most momentous and memorable times have passed in my personal life, when I am re-united with the same people, the same faces year after year, I can't help but think, "where has the time gone?" It feels like just yesterday that I was on the school bus heading to Lawrence Woodmere Academy on the morning of September 11th. My parents had proudly enrolled me Lawrence Woodmere Academy, a private institution just a year before. It feels like just yesterday that I was sitting in my first class of the day with my hands folded ready to absorb new information when the elementary principal entered the room. I don't remember most of the words she said but it was the quickly sketched diagram of two towers, two airplanes and two arrows on the chalk board that was burned in my mind. It was just yesterday I was riding on the bus back home and listening to my peers saying "everything will be fine, I promise!" The time of my life leading up to the attacks and the time after are separated like intervals in my mind. It is like I lived another lifetime before and after I was born once again into a similar life only with a piece missing. The memories we shared and the daily routines we continued as a complete family in the lifetime before were suddenly curtailed. Although these routines such as eating meals together and traveling together were reinstated after a while, they were never the same. 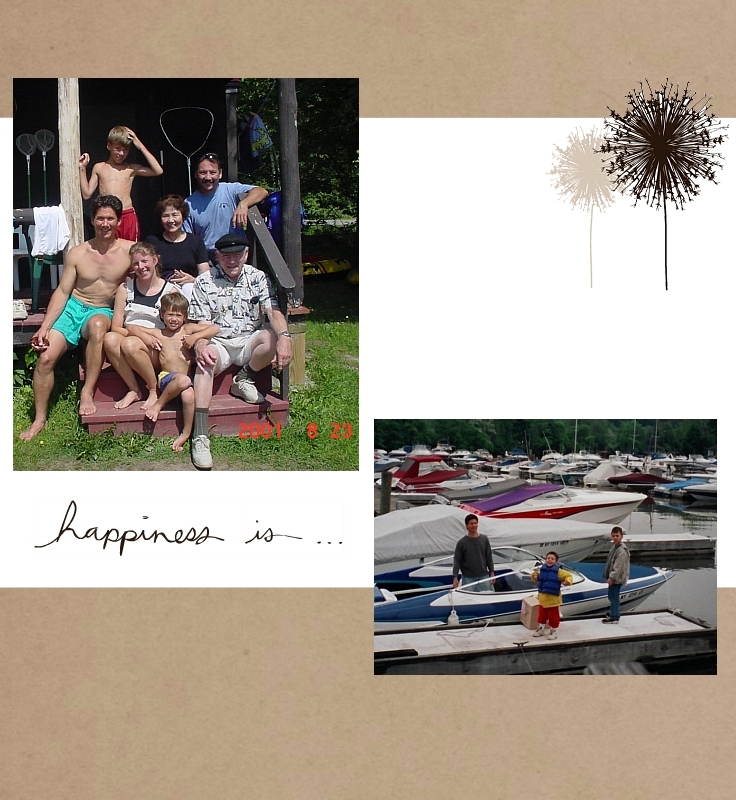 For example, in 1999 my family and spent our first week at Bear Springs Camps in Maine. Since then my we've been making an annual pilgrimage back to the same camp in the same spot in Maine and it is hands down our favorite place to be as a family together for a whole week without TV! After my father died, the trip to Maine was nearly ended but I insisted we go even though we lost much and the trip would never be the same. I will never forget fishing trips on the small aluminum boats pulling fish in so fast there was no time to release them. Each trip to Maine is especially reminiscent because of the memories I so colorfully remember. Even though my father suffered from legal blindness, he never let anyone take advantage of him. He was a man who got what he wanted and always looked to the positive. He never let anyone stand in the way of his dream whether it was owning a boat or coaching a little league baseball team. He was strong and able bodied and I could count on him to do anything whether it was teach me to pitch or have a Lego war. I've learned to never let anyone tell me what I can't do and pursue any passion I dream of. I hope to carry on the legacy of my father which is to be a well rounded and independent individual. I want to contribute and help people like my father would donate to charities and help a neighbor fix a car. Dad, although your departure was much too soon I thank you for the invaluable impact you made on me and my outlook on life. Although I had only known you for so little, you have shaped me as a human being unlike anyone else on the planet and that's how incredible you were. Thank you again and I love you dad always and forever.